Lovisa Photo is an Orange County wedding & lifestyle photography studio based in Long Beach, Ca. The studio was born out of a passion for photography and people in 2009. Hello! 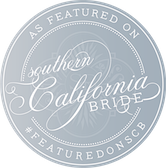 My name is Erin Muller and I'm an Orange County wedding photographer living the good life in Southern California! I am the primary photographer at each wedding and I am backed up by a team of talented and experienced photographers who assist and second shoot. When I'm not shooting weddings, I love to travel, cook, and ride my bike at the beach. I'm a total foodie and LOVE trying new foods. A good happy hour is the way to my heart, and I love wine. Wine makes everything better. No really, it does. I like to describe my style as fresh, bright, and airy and I love capturing the story of your big day in a way that is timeless and not over processed with a photojournalistic approach. Give me beautiful light and good vibes and I am set to go!